Hundreds of people shared their opinions via phone calls, emails and social media after Traffic Lab’s story last week about mandatory, fee-based bicycle-registration programs. Here’s what a few of you had to say — and the city weighs in, too. 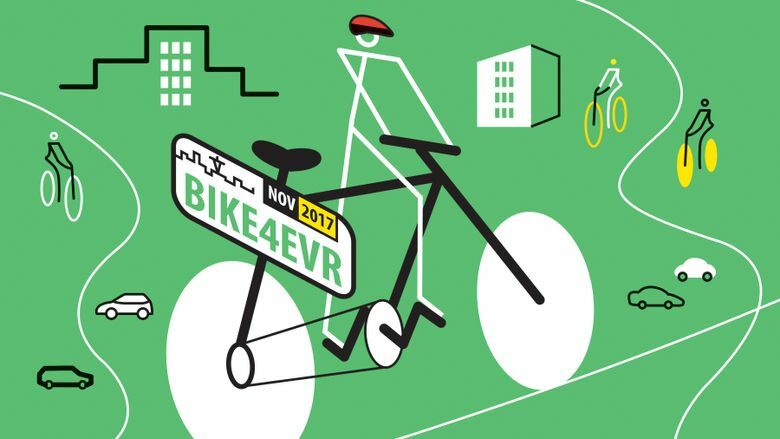 Nearly 40 years have passed since Seattle required bike owners to obtain licenses through a fee-based bicycle-registration program. But time apparently hasn’t made the issue any less contentious. Hundreds of people responded via social media, phone calls and emails to Traffic Lab’s story last week that laid out arguments for and against mandatory bicycle registration, and spotlighted Seattle’s 1977 program that quickly flopped. The responses ranged from full-fledged support for the fees to complete disapproval. “Only if we tax strollers and dog walkers,” wrote Serge Polishchuk, on Facebook. Opponents maintained the long-held arguments that mandatory licensing fees would discourage a mode of travel that alleviates traffic congestion and promotes exercise, and that bike owners already pay enough taxes to support the transportation system. Some licensing supporters insisted fees could generate money for biking infrastructure or small businesses affected by bicycle-related projects in the city. Many suggested a system that includes a bicycle-riding skills test. Others advocated for mandatory registration to deter theft. Cindy Eaton was of a similar mindset. Arguments aside, a bicycle-licensing program in Seattle remains hypothetical. The Seattle Department of Transportation (SDOT) says there would be “a high financial cost” related to enforcing the regulations, considering how programs have played out elsewhere. “In other cities where licensing has been tried, the license revenues have not been enough to cover the costs of administering the program itself and the additional police enforcement,” SDOT said in a statement. Cities including Los Angeles and Detroit have operated licensing programs in the recent past that have been shut down. SDOT, like many readers, emphasized that bike riders already help pay for road improvements through other taxes and fees. The city’s $930 million Move Seattle property-tax levy, approved by voters in 2015, has helped cover the cost of new bike lanes across the city, SDOT says. Money from other property and sales taxes, paid by many bicyclists, goes to roadway updates, too. And many people who bike also pay for driver’s licenses and car registrations. Lynne Hoskins expressed support for a fee-based program, suggesting it compensate small businesses that have lost street parking due to bicycle-related projects. “I am for cycling, but not at the expense of small businesses,” she wrote. The sponsor of Seattle’s 1977 bicycle-licensing law wanted to pay for bicycle-safety education with money from the fees. The measure briefly replaced the city’s voluntary registration program and required bike owners to pay a one-time $2 fee. The City Council ultimately repealed the law in March 1978 after the program failed to gain strong participation and its original $15,000 budget had been exhausted. Ronald Miller recalled having his bicycle registered as a preteen in the mid- to late-1940s during the city’s voluntary program. He rode around Seattle’s Alki neighborhood, delivering newspapers. “Seattle’s history with bicycle licenses goes back much further than the 1970s,” he wrote in an email. Today, people can voluntarily register bikes to combat theft through services such as Bike Index and Project 529 Garage, and some employers and colleges require registration. Oregon lawmakers on Thursday passed the country’s first bike-specific tax that aims to raise money for bicycle and pedestrian projects, The Oregonian reported. Under the measure, which is set to take effect Jan. 1. 2018, retailers would collect $15 per bike when they’re sold.